Following a cracking game at Wembley that ended 4-2 to FC Barcelona, the two sides meet again. Let’s take a closer look at the Lilywhites of London. The club’s unusual name is taken from Henry Percy, a late-medieval English nobleman known as Hotspur, whose family owned Northumberland Park where the team originally played. Founded in 1882, Tottenham and other London clubs originally played in a separate competition called the Southern League, which is how they famously became the last ‘non-league’ club to win the English FA Cup in 1901. Spurs was the first English club to win European honours when they lifted the Cup Winners' Cup in 1963, beating Atlético Madrid 5-1 in the final. This was their golden era, including a league and cup double in 1961, but since then they have generally lived in the shadow of their more successful neighbours Arsenal. But the balance of power in North London has changed in the last few years, with Spurs finishing second in the league to Leicester City two years ago and enjoying more Champions League football this season, while Arsenal are once again in the Europa League. Tottenham made their Champions League debut in 2010-11, and went on their best ever run in the tournament, eventually going out to Real Madrid in the quarter finals. In 2016-17 they failed to make it out of the group stages and last season fell to Juventus in the round of 16. Tottenham are currently third in the English Premiership, six points adrift of new leaders Liverpool. Their only points lost in their last six games came in a painful 4-2 defeat against local rivals Arsenal. Just one point from their first three Champions League games suggested they might be battling with PSV for a Europa League berth. But they have bounced back and are now level with Inter Milan on seven points, with a better head-to-head record. So they will make the last sixteen if they match or better whatever Inter achieve in their game at home to PSV. The club’s expenditure on summer signings was something almost unheard of modern football these days. A grand total of £0! But did they need to after they were ranked second in the list of top goalscoring clubs at the 2018 World Cup? Leaving their club just one short of PSG’s tally of 13, Harry Kane (6), Heung Min Son (2), Christian Eriksen, Dele Alli, Kieran Trippier and Jan Vertonghen all scored in Russia. Naturally, it’s Harry Kane who leads the way in the goalscoring stakes this year with 13 across all competitions. And with a World Cup winning goalkeeper in Hugo Lloris and top class defenders like Trippier, Toby Alderweireld, Vertonghen and Ben Davies, they’re solid at the back too. 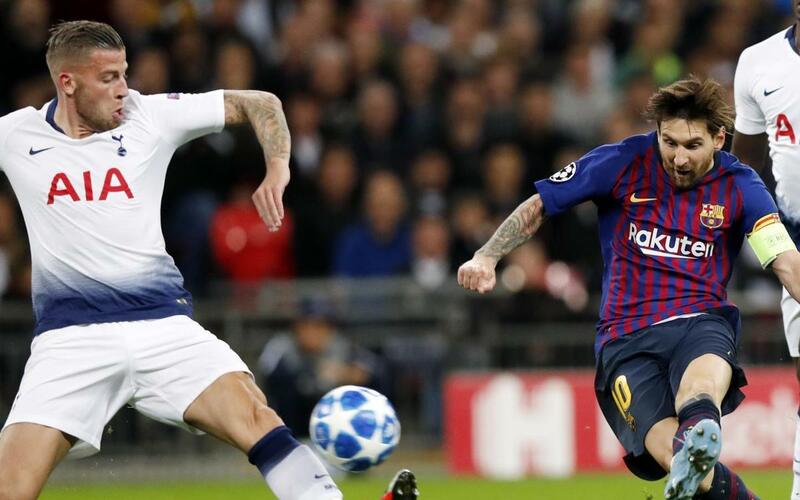 Spurs’ Argentine boss Mauricio Pochettino knows the city of Barcelona well – as a player he made over 250 appearances for Espanyol and also managed the club for three seasons. As coach, he led Espanyol to their first victory at the Camp Nou in 27 years, but that was his only win in eight attempts.